Case Study: How Albertsons Reduced Costs and Boosted Productivity with Preprinted Pallet Labels | ID Label Inc.
Albertsons Companies Inc. began in 1939 with a single, small grocery store in Boise, Idaho. Today, the company has successfully grown into one of the largest food and drug retailers in the United States. It operates more than 2,300 stores, employs 250,000 people and features many well-known store brands like Safeway, Jewel-Osco, Vons, Acme Markets, Shaw’s and Sav-On, in addition to hundreds of Albertsons-branded stores. 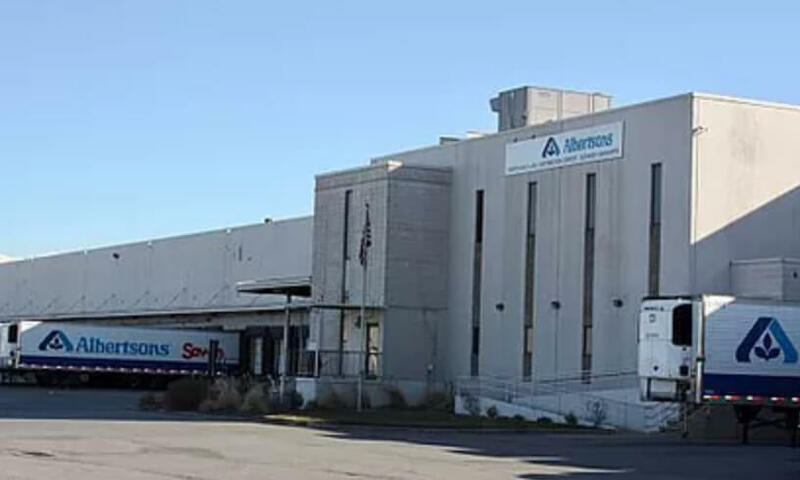 To serve its many stores, Albertsons operates a network of 15 advanced regional distribution centers (DCs), ranging in size from 500,000 to 2 million square feet. 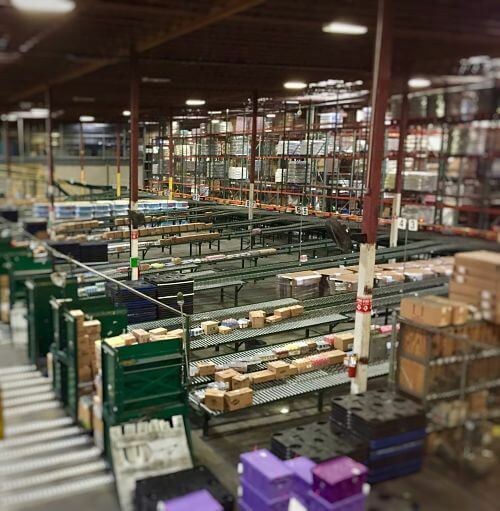 These are full-line warehouses that store millions of items such as dry goods, produce, deli foods and meats for delivery to its retail stores. To keep pace with business demands, the company is in the middle of an important, multiyear systems conversion to enable its distribution centers to operate under a single, standardized warehouse management system. 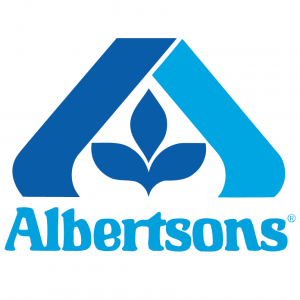 Each DC conversion can take months, but the benefits to Albertsons are significant. 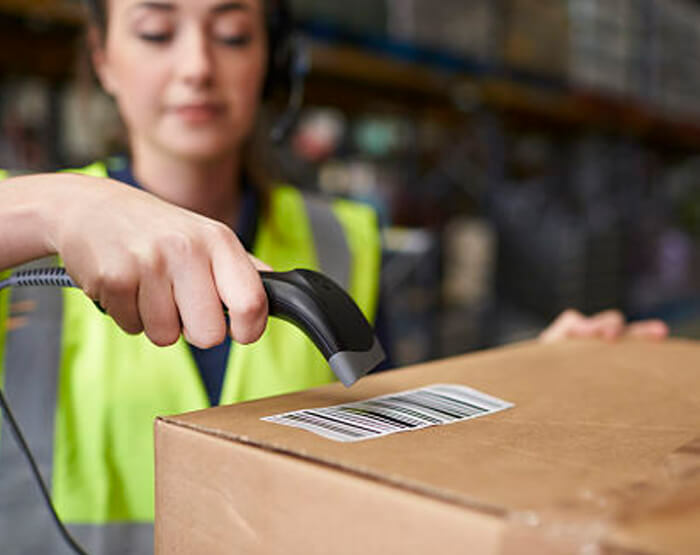 These include more efficient, optimized processes and labor allocation across its facilities, reduced store delivery times, improved order accuracy, better inventory tracking and balance, and reduced operational expenses. In Albertsons’ complex, multiple-facility environment, barcode labels serve a significant role. In the past, Albertsons printed its LPN/pallet labels in-house using direct thermal labels. But it was an expensive, inefficient process. On average, each Albertsons DC goes through approximately 1.2 million LPN labels each quarter. Walker was familiar with the benefits of preprinted barcode labels, having employed the solution while at SuperValu (which previously encompassed the Albertsons brand). He did a cost-benefit analysis and recommended the change to preprinted LPNs from ID Label. “We’ve cut our LPN costs in half and that’s just on materials alone,” Walker said. He estimates a savings of $12,000 for just one DC, which will grow as more DCs are added to the program. Albertsons’ DC workers also like the preprinted label solution. “They’re more productive because they’re on the floor more,” he said, noting that they’re not constantly going back and forth to the printer to run more labels. “As significant, we’ve virtually eliminated problems and downtime associated with computer system issues, software hiccups and printing errors due to system-generated numbers and labels that don’t always move well,” he said. Distribution centers in Utah and Oregon are currently taking advantage of the ID Label LPN program. Walker expects other DCs to standardize as each converts to the company’s new warehouse management system. Interested in learning more? Visit our website or contact us today.